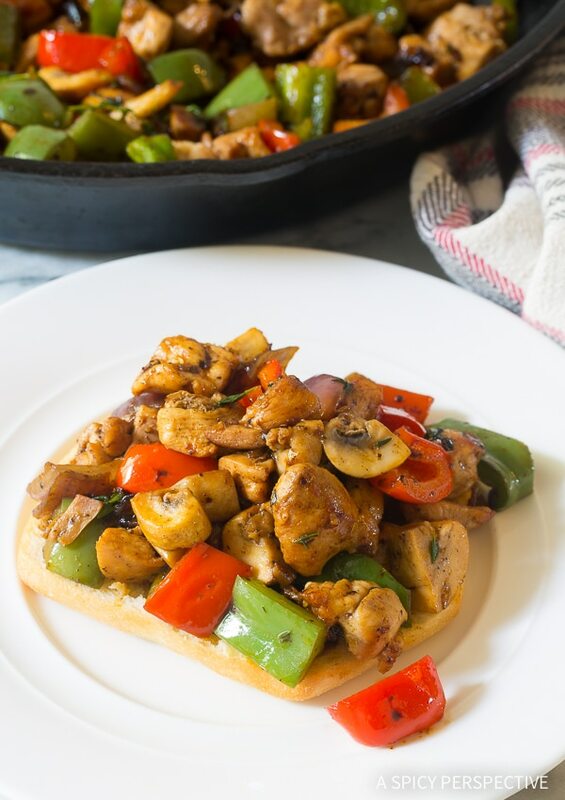 Croatian Skillet Chicken and Vegetables – with chicken, mushrooms, and peppers this is a fantastic sandwich stuffing, and great on its own as a low carb meal! One of the reasons I love to travel is to experience the flavors and cooking styles of other cultures around the world. 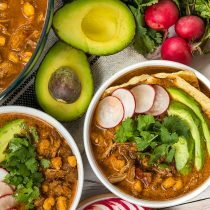 Although the United States is a melting pot of nationalities, there are some international cuisines we don’t often enjoy in America. I mean, when was the last time you visited a Croatian restaurant in your hometown? Just because some cuisines haven’t gained popularity here, doesn’t mean they aren’t worthwhile. In my lifetime, I want to taste them all! 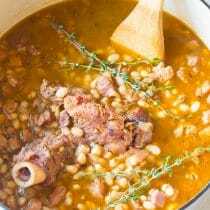 Speaking of Croatian cuisine, on a trip to Croatia last spring I came across a simple homey dish that was so satisfying, I loved it so much, I made a note to replicate it at home and share it with you. My travel buddy and I were trying to hunt down the best cevapi (regional sausages served on bubbly bread) in a little coastal village called Pula when we happened upon another inspired dish at a restaurant named Bistro Odisej. It was a sandwich filled with sautéed chicken, mushrooms, onions, peppers, and herbs. It seemed to be made with basic ingredients, and was simply cooked on a flattop griddle, but wow was it ever delicious! Piletina u Povrcu, or Croatian Chicken in Vegetables is an easy meal to make at home, allowing your family to taste the flavors of Eastern Europe. 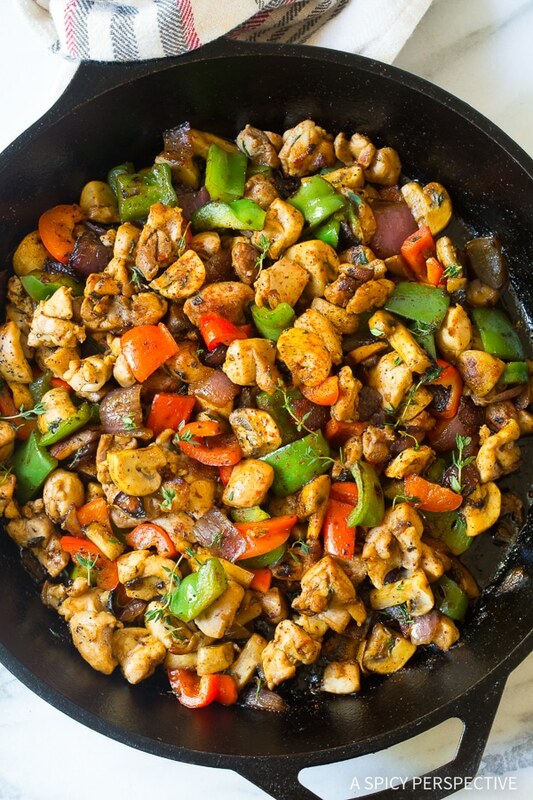 This Croatian Skillet Chicken and Vegetables is so wonderful, because of its simplicity. How Do I Cook Chicken and Vegetables in a Skillet? Place a large cast iron skillet over medium-high heat. Once hot, char the bell peppers in a dry skillet until lightly blistered. Remove the peppers and set aside. Add the butter, onions, and garlic to the skillet. Sauté, and push onions to the side of the pan. Add the chicken, mushrooms, and seasonings. Sauté, stirring occasionally, until the chicken is cooked through. Toss the blistered peppers back into the skillet. Taste, then salt and pepper as needed. For a More Detailed Instruction Guide with Measurements and Timing Tips See the Recipe Card Below! 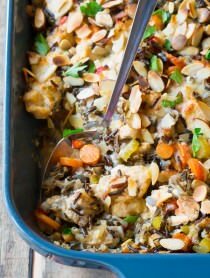 What is in this Chicken and Vegetable Recipe? 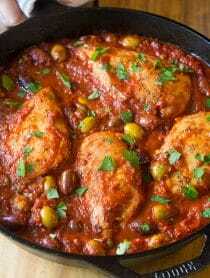 It is made of chicken thighs and vegetables cooked in butter, with garlic, thyme, and smoked paprika. The smoked paprika is a key element, so make sure to grab it at the market. 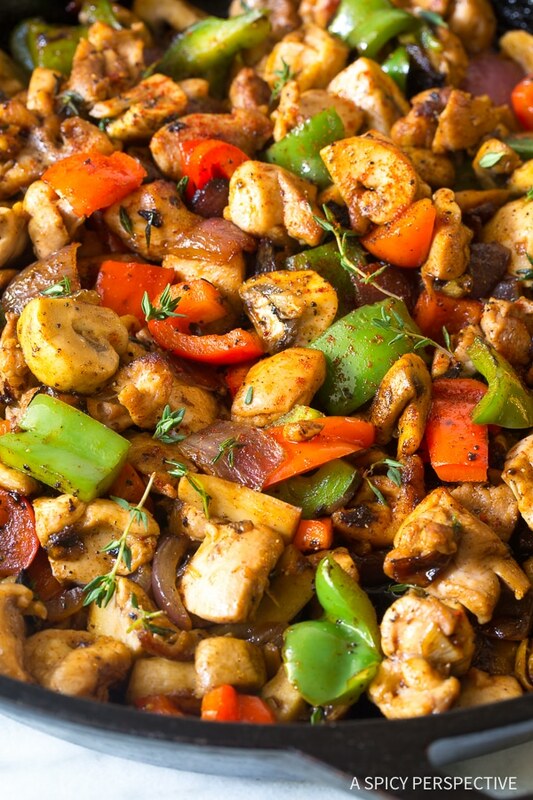 Once sautéed, you can serve this Croatian Skillet Chicken and Vegetables as-is for a low carb meal, or enjoy it Croatian-style, piled on fluffy bread. How Do I Serve Chicken and Vegetables? In Croatia, lepinja bread is used for such dishes. 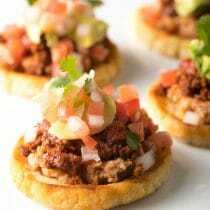 It’s a type of thick soft pita, or flatbread, with big airy bubbles and lots of yeasty appeal. You can make it at home. Or if you can buy a similar style of bread at a European (or middle eastern) market in your area, go with that. Otherwise, I find soft porous ciabatta rolls are the next best thing. 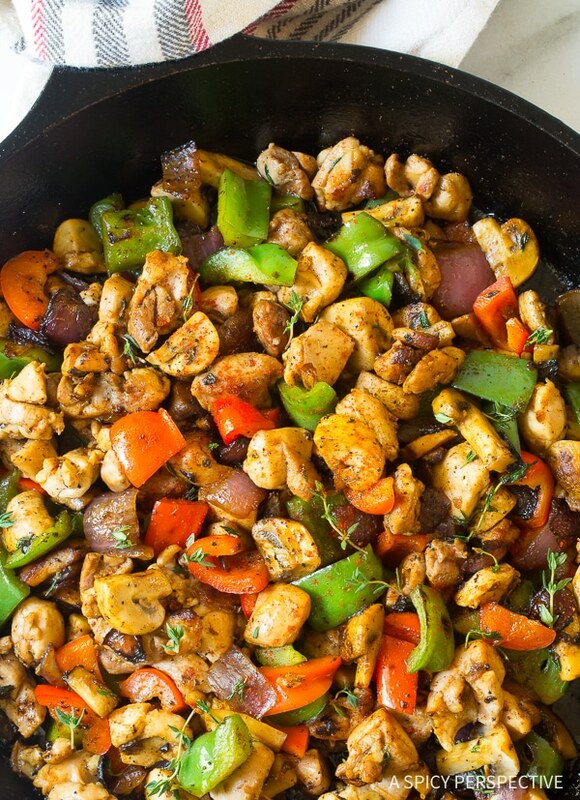 Our copycat Croatian Skillet Chicken and Vegetables is so delightful, you might find yourself enjoying the flavors of Croatia every week! See The Recipe Card Below For How To Make Croatian Skillet Chicken and Vegetables. Enjoy! 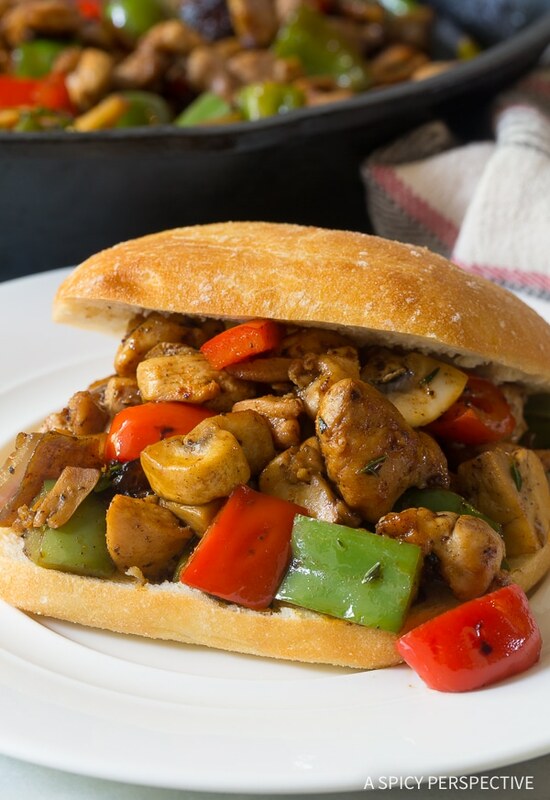 Croatian Skillet Chicken and Vegetables - with chicken, mushrooms, and peppers this is a fantastic sandwich stuffing, and great on its own as a low carb meal! 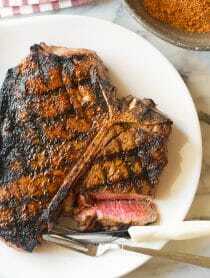 Place a large cast iron skillet over medium-high heat. Once hot, char the bell peppers in a dry skillet, until lightly blistered. Remove the peppers and set aside. Add the butter, onions, and garlic to the skillet. 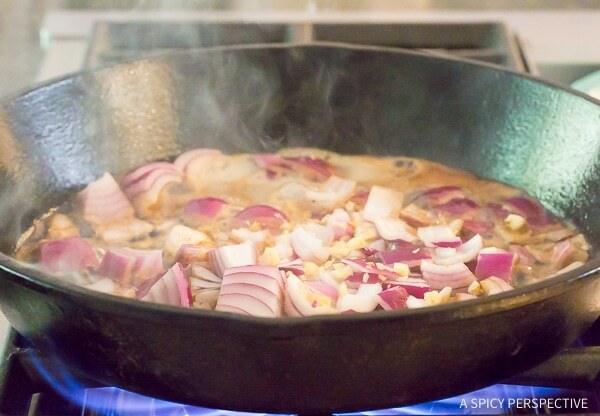 Sauté for 2-3 minutes, then push onions to the side of the pan. 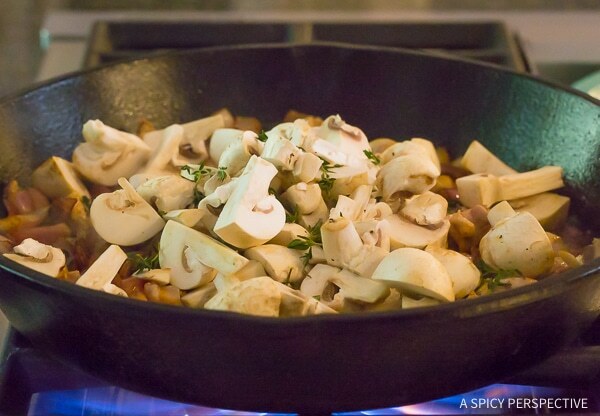 Add the chicken, mushrooms, thyme, smoked paprika, 1 1/2 teaspoons salt, and 1/2 teaspoon ground black pepper. Sauté, stirring occasionally, until the chicken is cooked through, about 6-8 minutes. Toss the blistered peppers back into the skillet. Cook another 2 minutes. Taste, then salt and pepper as needed. Nutritional facts calculated without sandwich rolls. This looks wonderfully, deliciously simple, and I love all the veggies. I also love smoked paprika, so this is going on my “make soon” list. I may serve it over rice or with some pasta tossed in rather than with the bread. My husband does not eat mushrooms? Any suggestions for a substitution? I went by the recipe. Couldn’t taste the chicken or peppers. Mushrooms were the only thing I could taste besides the spices. 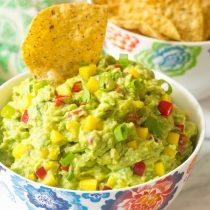 Delicious and very easy to make. Will definitely be making this again! We spent three months in the Balkans. The food was divine! I am glad to see this here. I have made this receipe few times and it is delicious, by the way I am Croatian but I never had it there. Looks delicious. I will serve with noodles…might also try with shrimp sometime. This was sooooo good. I sent the recipe to my brother who is always looking for good chicken recipes and (who loves to cook). He made it right away, even before I did, and emailed me back … HIS comment … “OMG … This is a KEEPER !!! He also told me to make SURE I used SMOKED paprika … the entire house smelled GREAT. Admittedly, I was a bit timid using the smoked paprika since I had never used it before, and the recipe would definitely have been tastier if I had totally followed directions. But, my brother is right … THIS ONE IS A KEEPER !!!! This would be my new favorite lunch recipe. I’ve never tried a Croatian dish so I am very inspired to try it. Is this a traditional Croatian dish?